Team Evotri: NEW from CycleOps! 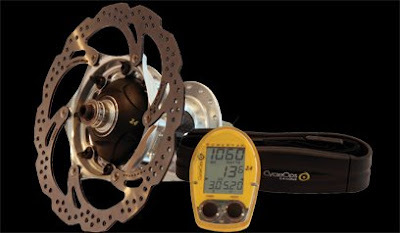 Here at camp Evotri we are absolutely ecstatic about the latest CycleOps announcement - the PowerTap SL 2.4 Disc Brake Hub System is finally available! After rigorous testing by the CycleOps precision-minded engineering team, as well as several pro athletes like Jeremiah Bishop, Julian Absalon, Conrad Stoltz, Melanie McQuaid, Wendy Simms, Manual Prado, Danny Pate and Rocky Reifenstuhl, it’s officially time to put some Power in the dirt world-wide. Beefed up and ready for a beating, all components of the new disc brake have been fortified to endure the rigors of off-road without sacrificing accuracy. 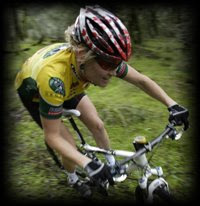 No wires and now no limits for any mountain biker out there ready to rule the trail! Kudos CycleOps, and thank you! To listen to more about CycleOps’ brand new disk brake hub, stay tuned for the next Zippcast with our very own Simply Stu, coming out soon. In the meantime, click here for the latest interview with the CycleOps’ Power experts on Tap.